Last month, I attended my first Kinfolk event in Milk Gallery, which was very exciting for me. I discovered Kinfolk magazine this summer, and I subscribed to it immediately simply because, it was THE most beautiful print I have ever seen. It is ad-free (yay! ), and it collects ideas from a growing international community of artists, designers, photographers, cooks and others who are interested in small gatherings and finding new things to cook, make and do. Printed in Canada on uncoated paper, each issue is filled with lush photography, lyrical essays, recipes, interviews, profiles, personal stories and practical tips along with a keen attention to design and details. They organize workshops / events almost every month, all over the world. You can check the next one closest to you here. 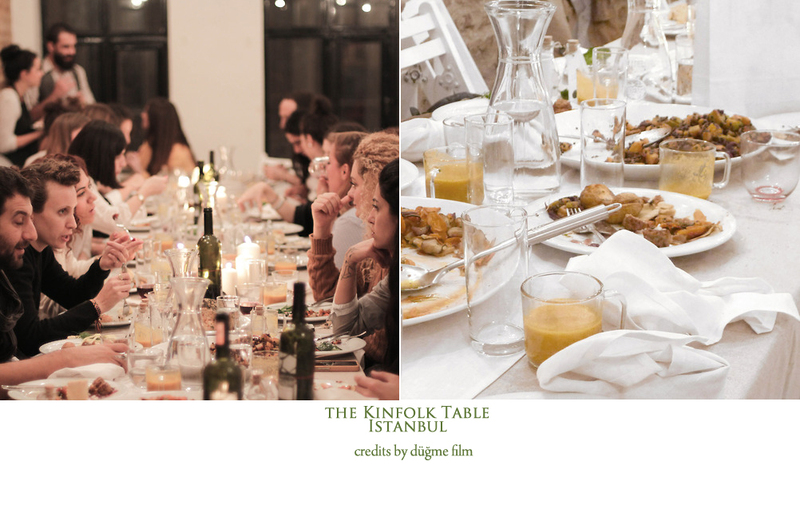 This particular event that I attended to was a celebration dinner for their first cookbook, The Kinfolk Table: Recipes for Small Gatherings. I had a chance to look at it, and I love a good cookbook, so I strongly recommend you to buy it. I ordered mine from here. So onto the event. I didn’t know anyone there, so for me, it was a great opportunity to meet like-minded people. They also asked me to come with a recipe, and if possible with tastings, to share with others. 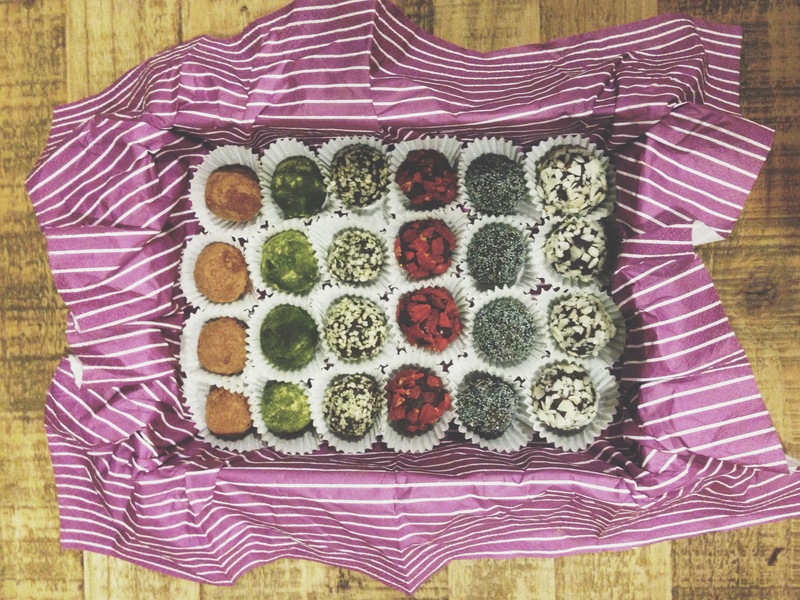 Of course I had to choose a raw food recipe, it needed to be easy to make, not much equipment needed (because not everyone has a Vita-mix, or dehydrator), and easy to transport (I had to make it in Bodrum and take it with me on a flight to Istanbul!). So I didn’t have much choice actually, I decided to make chocolate truffles(see the recipe below). It was a good choice because who wouldn’t love chocolate? Right? I really enjoyed the dinner, the attendees were amazing. I met so many beautiful people there, I am really grateful for it. It was also very interesting that everyone whom I spoke to was particularly interested in raw food and detox, which is a big surprise for me. We have been served yummy, delicious food made by The Food Project and Geraldine Cooks. They did an amazing job. I was actually surprised to see that vegetarian food was very dominant. photo credits by Düğme Film. Baked cauliflower with herbs -my favorite dish in the table! The raw chocolate truffles and other desserts were enjoyed by people after dinner accompanying organic coffee by Kronotrop. It was simply the perfect ending to our night. Combine everything in a high-speed blender except oils. Add the oils, slowly blend and chill for 1- 1.3o hours. Start rolling! You can use different flavorings for rolling, I used almonds, hemp seeds, goji berries, raw cacao, matcha, poppy seeds, fresh rosemary, dried lavender… Use your imagination! We have been given beautiful gifts; Müz Marimo by Zeynep and Gülriz, and apple & tomato chutney by Eda, aka Geraldine Cooks. Thank you girls! 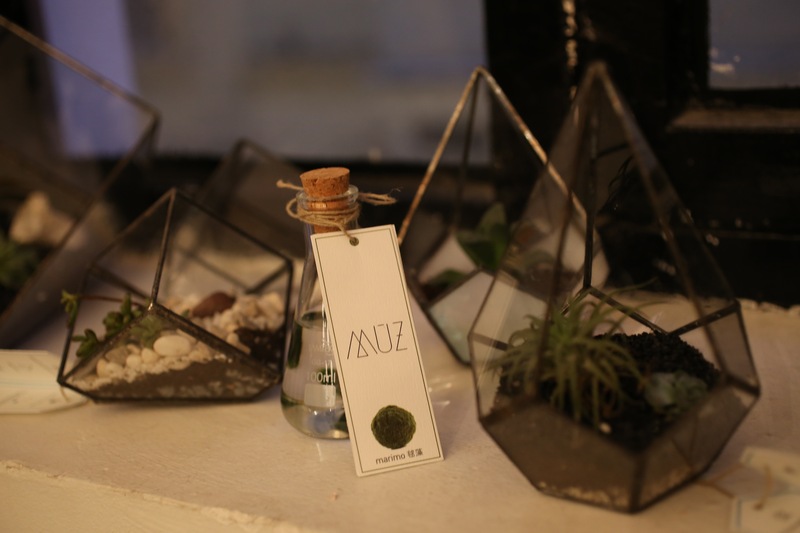 Müz is a very exciting, new brand by Zeynep and Gülriz, I strongly recommend checking their website out, they have the most beautiful terrariums… and I am obsessed with them, so proud that a Turkish brand came up with beautiful designs. I simply enjoyed every little detail in this event, it really appealed to me as a design/food enthusiast. I am looking forward for the next event… Thank you Kinfolk, for bringing all of us together. Hi Mariana, which details you want me to mention? Thank you Daryl, that is very kind of you!